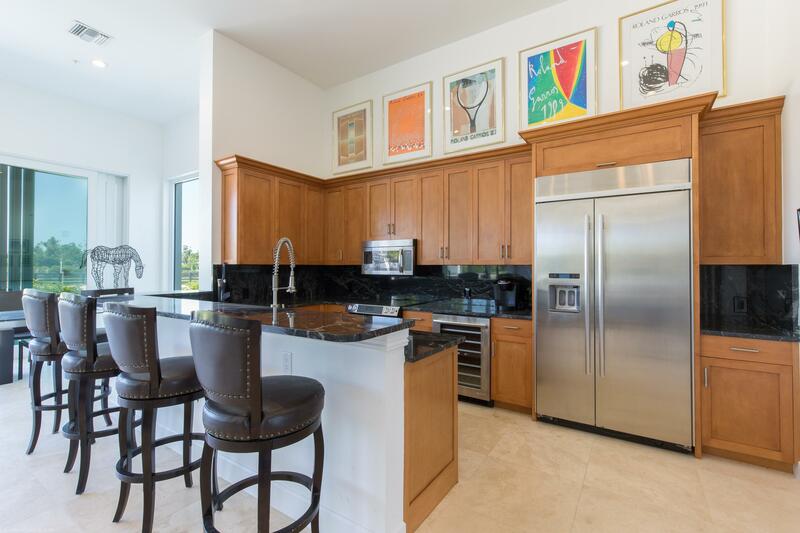 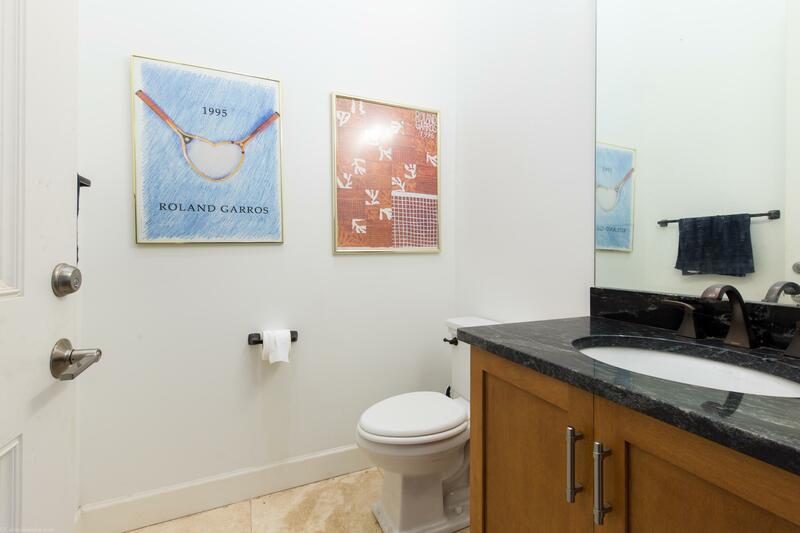 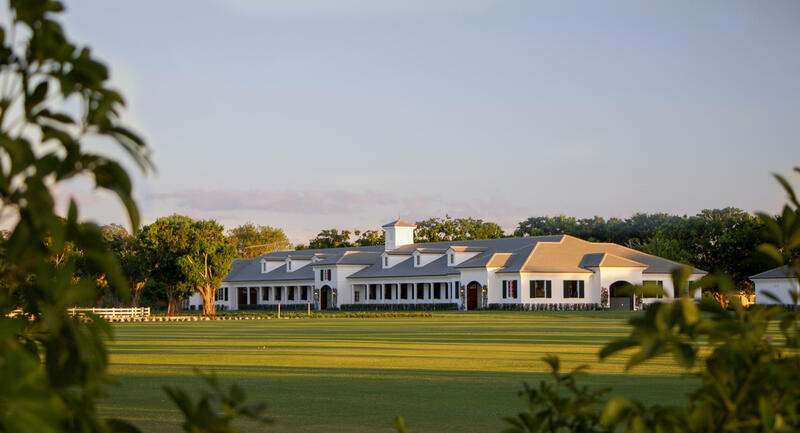 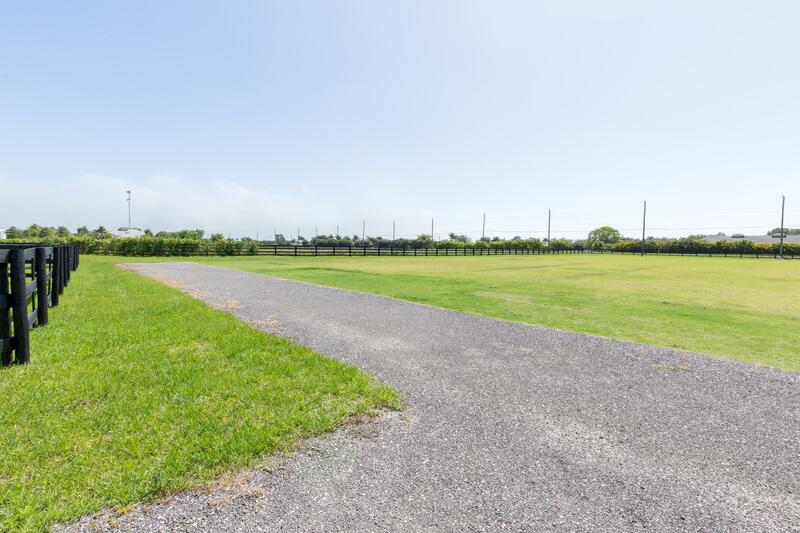 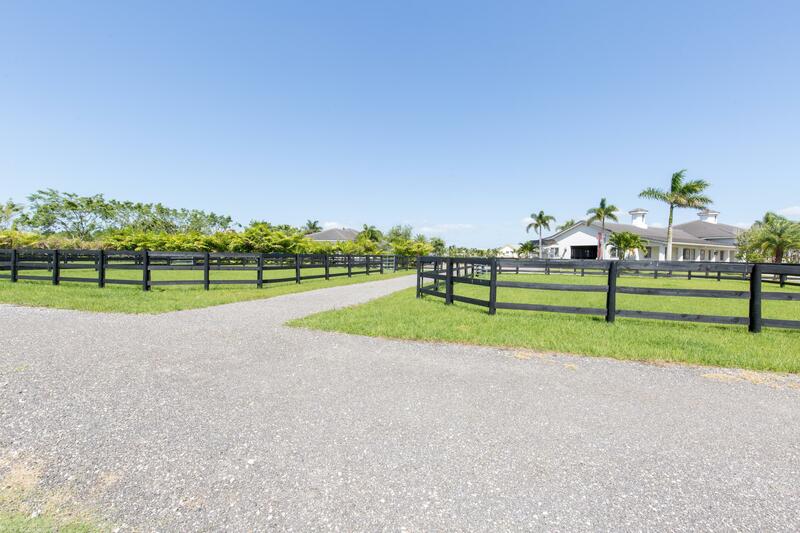 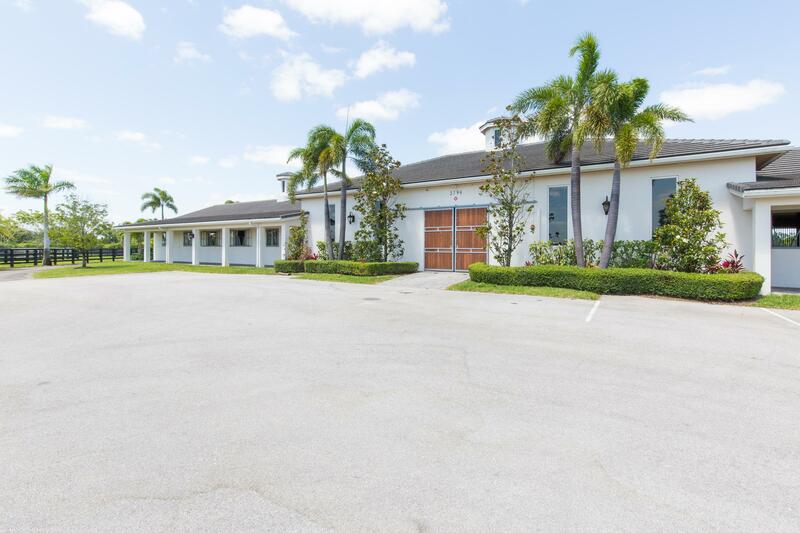 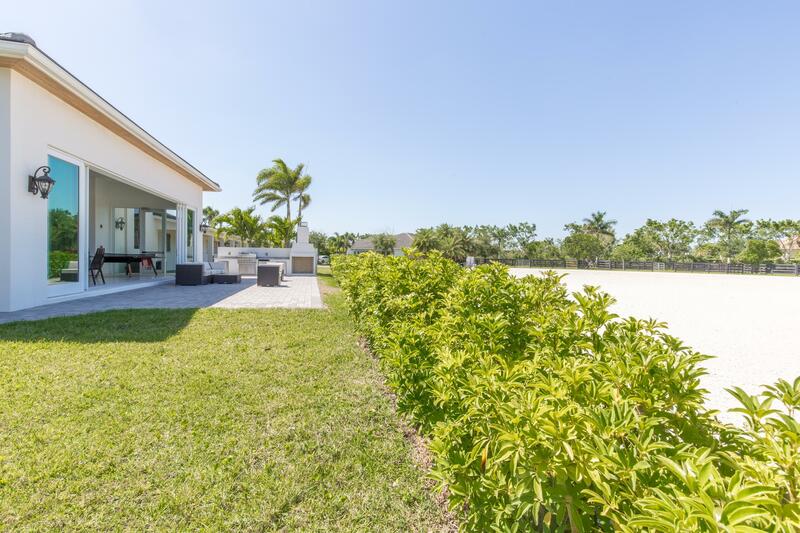 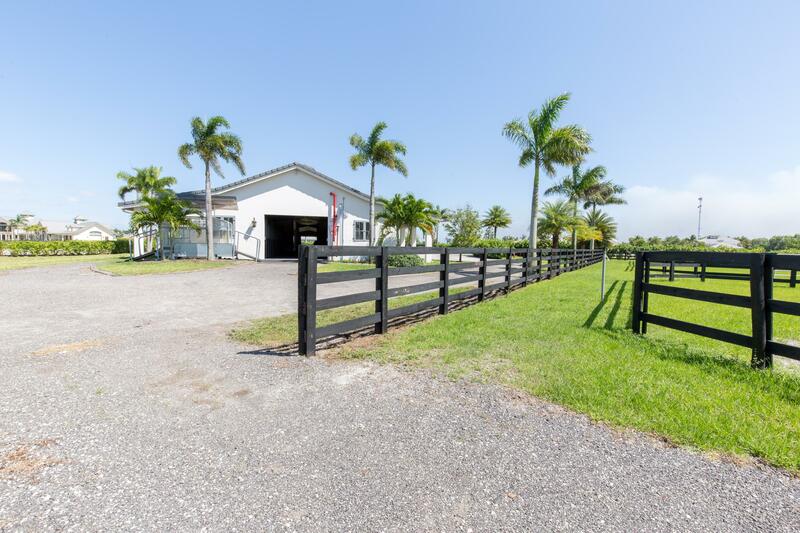 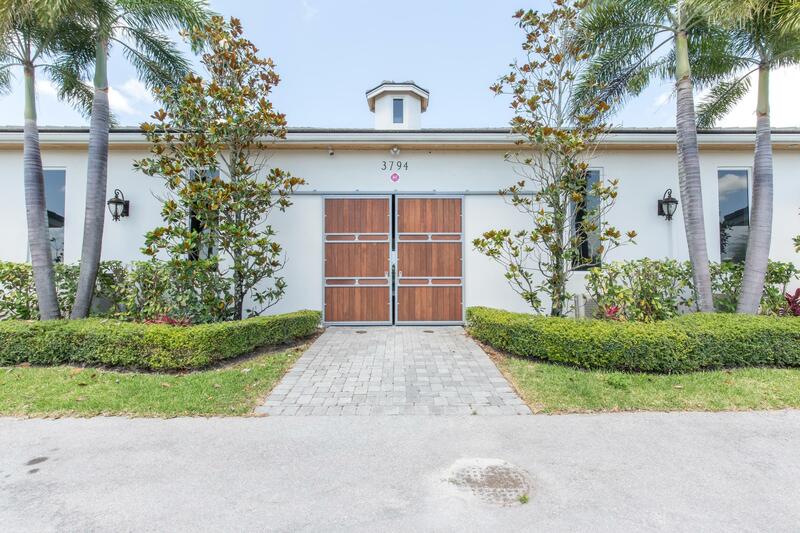 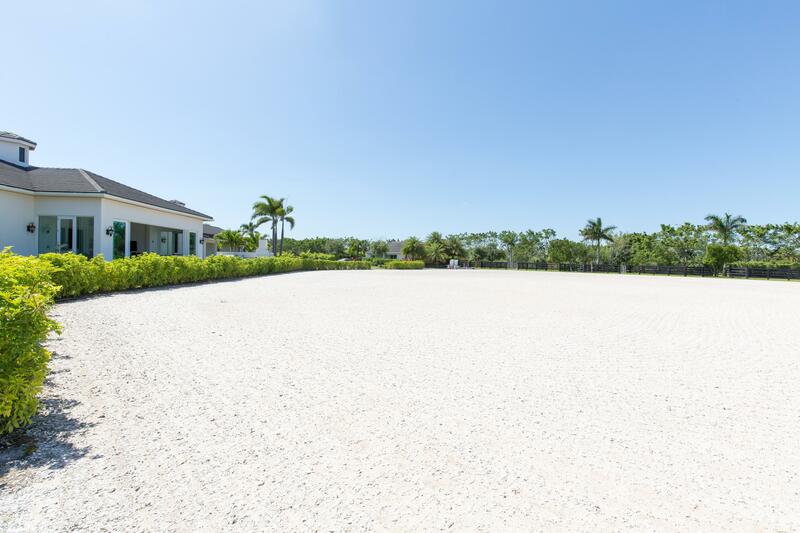 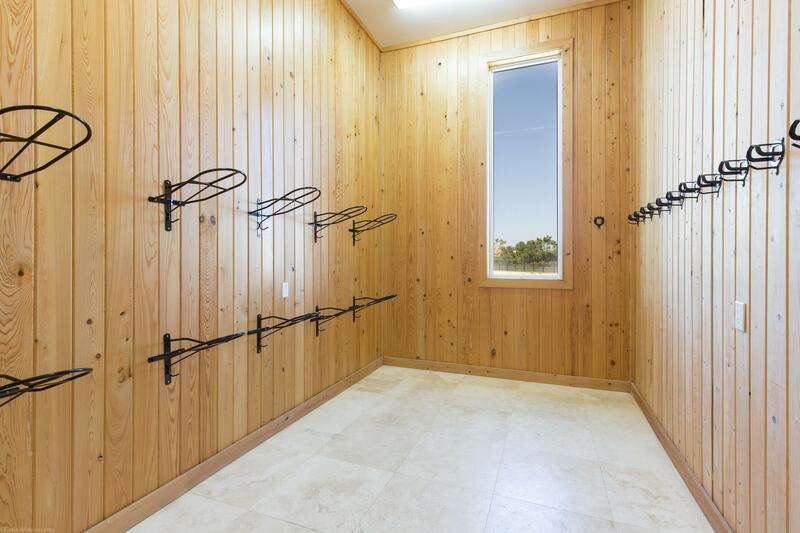 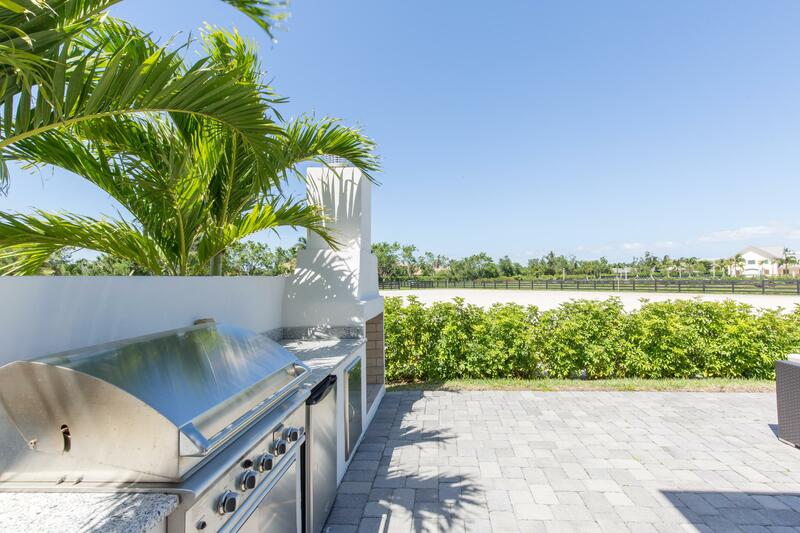 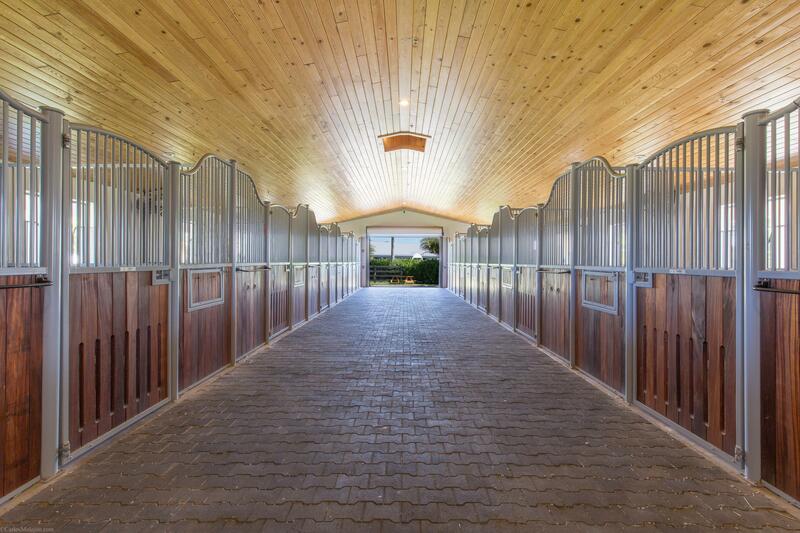 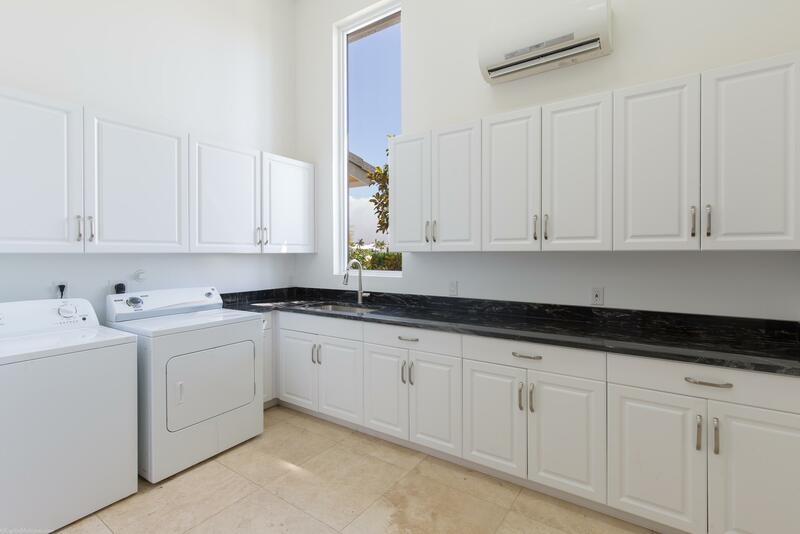 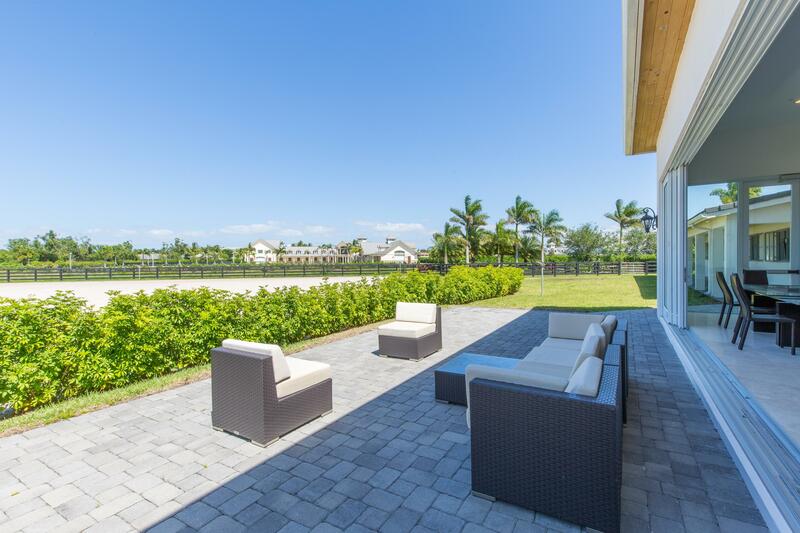 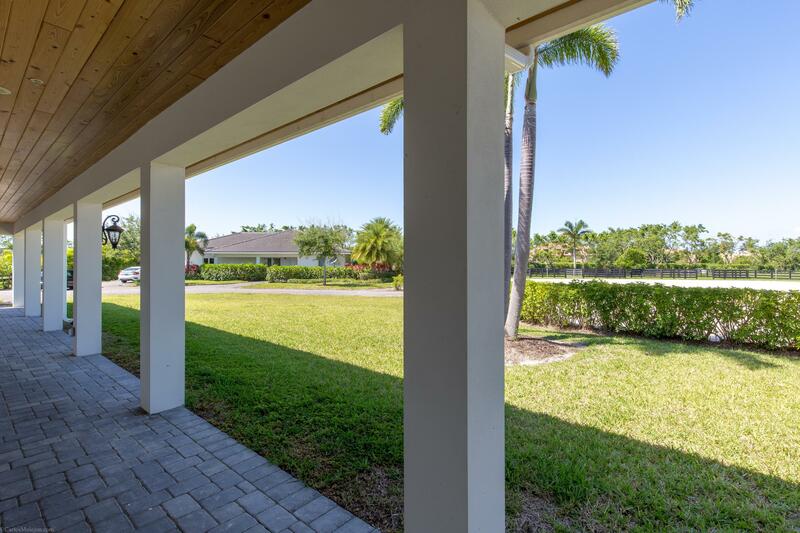 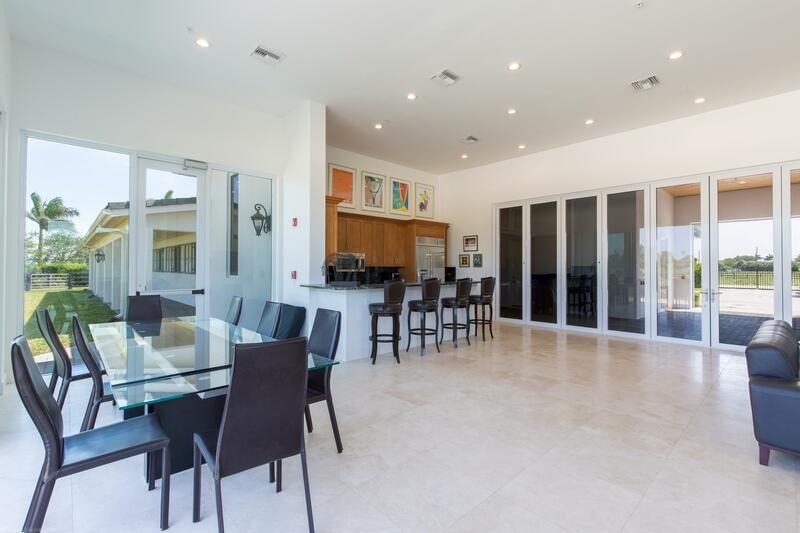 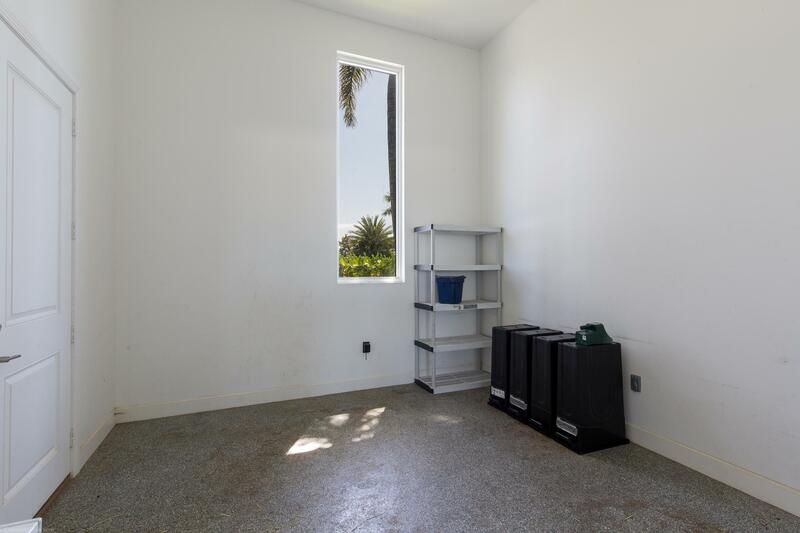 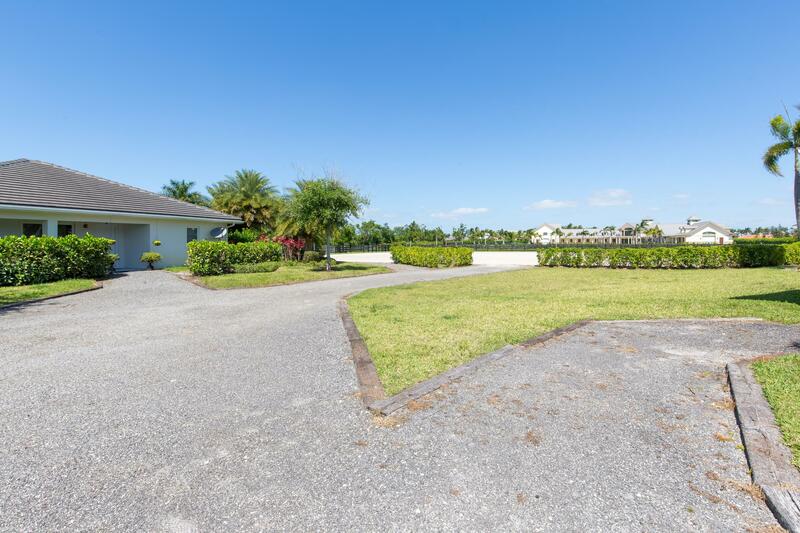 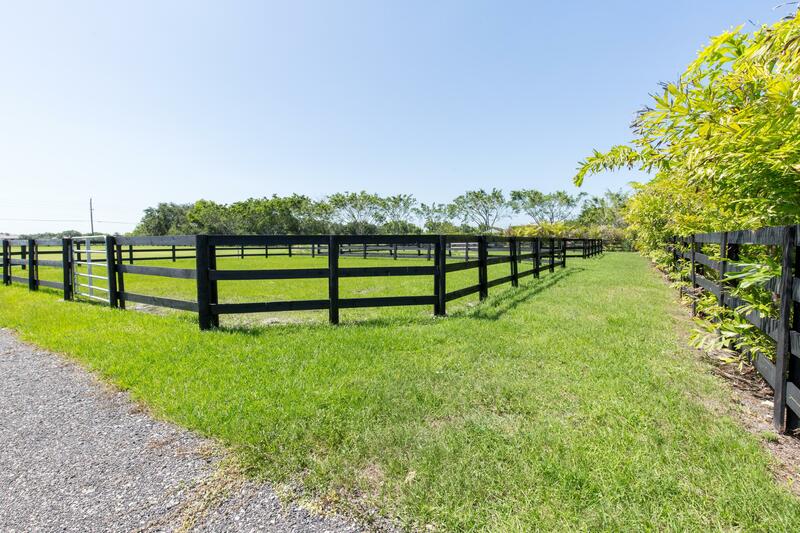 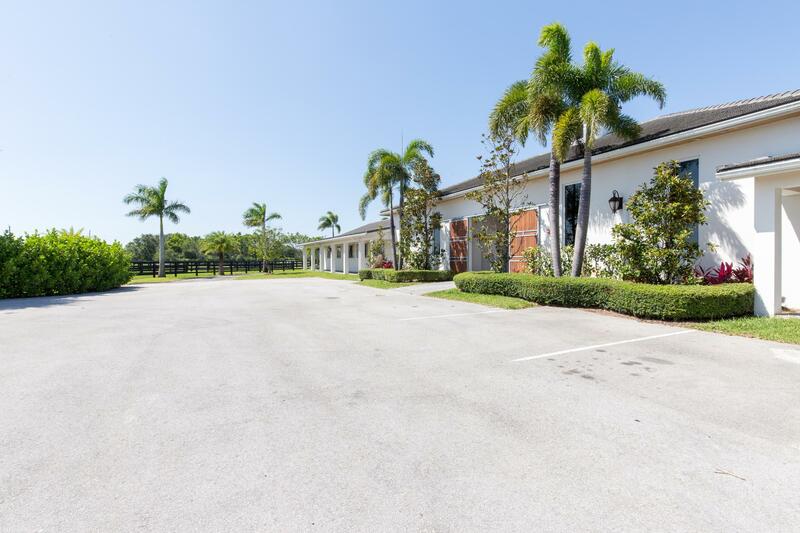 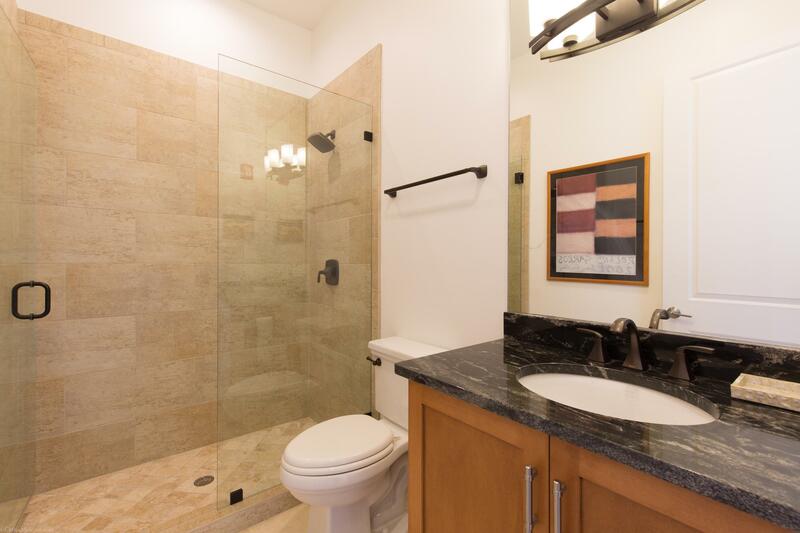 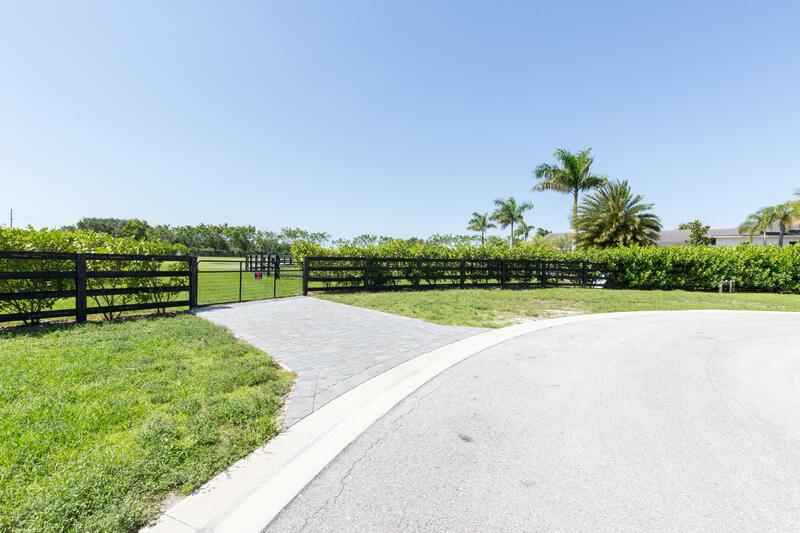 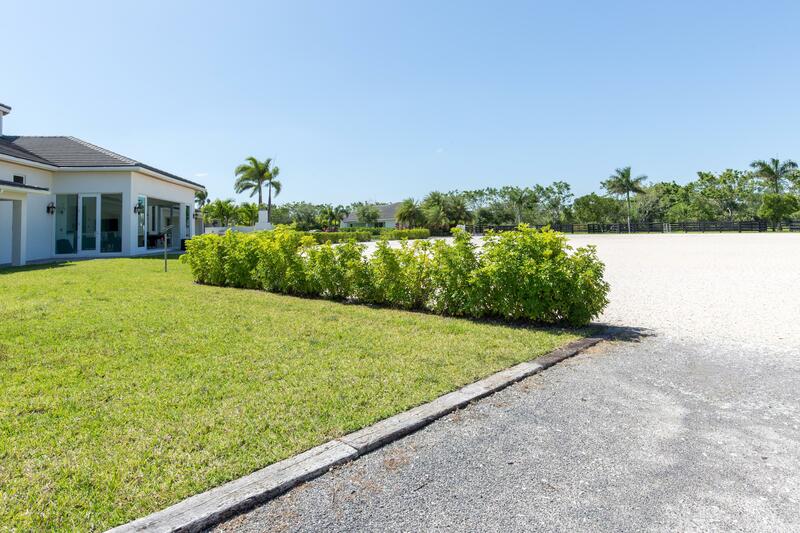 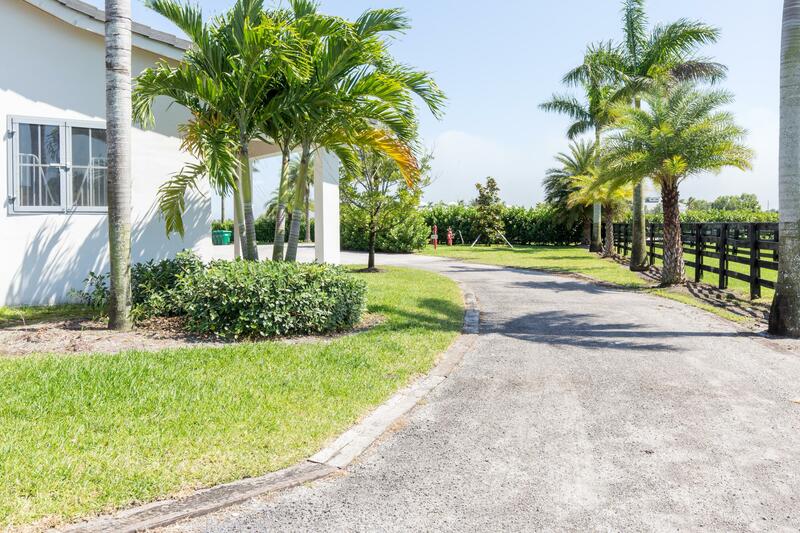 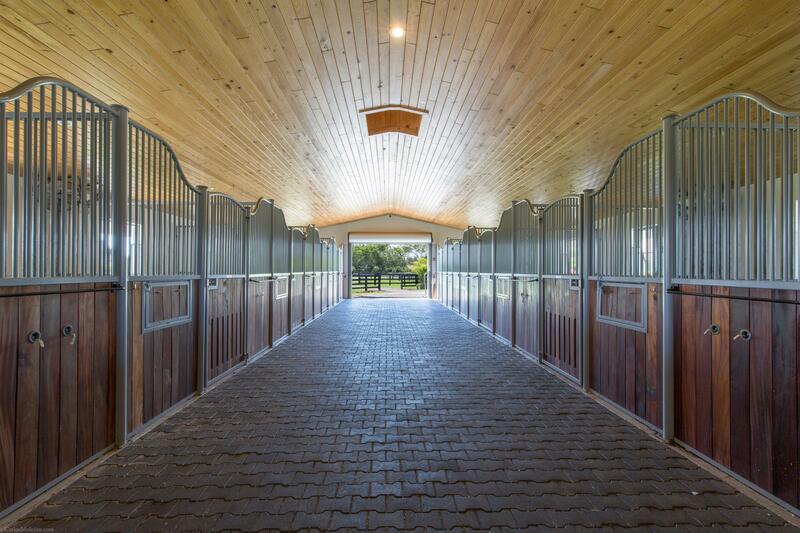 An exceptionally designed and well kept equestrian facility located within hacking distance to Palm Beach International Equestrian Center. 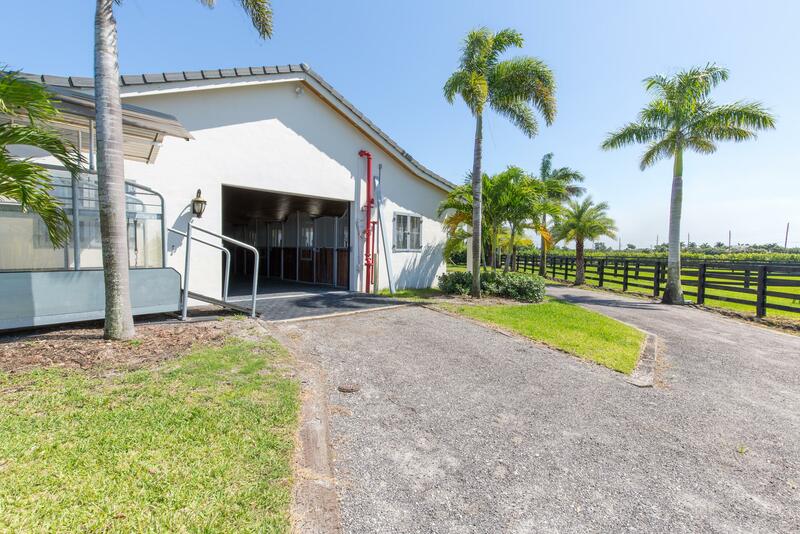 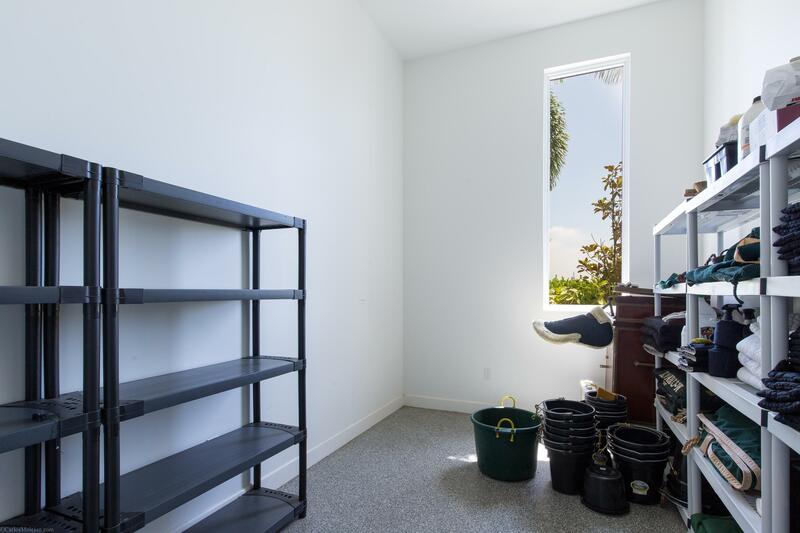 Offering 20 stalls, 4 wash/grooming stalls, a private office, 2 tack rooms, a laundry room, feed room, 1.5 baths and complete with an additional storage room. 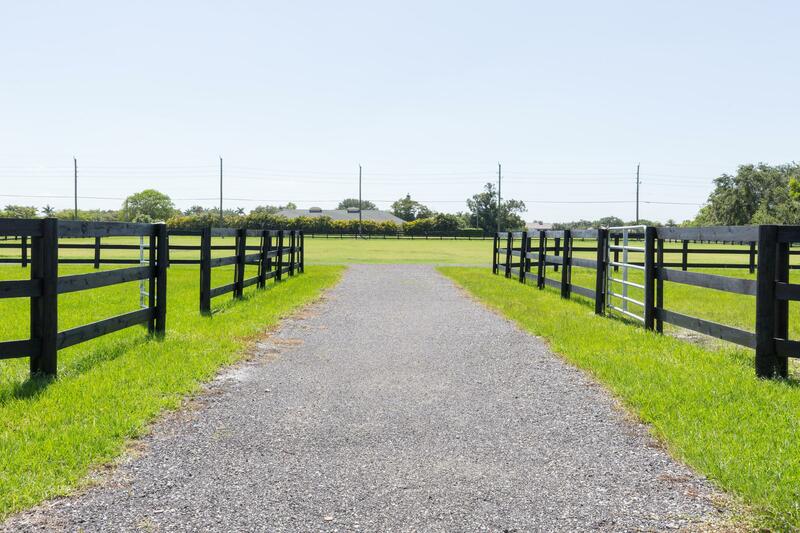 Facility also includes a large ring with all-weather footing eight paddocks for turnout and a grass derby field. 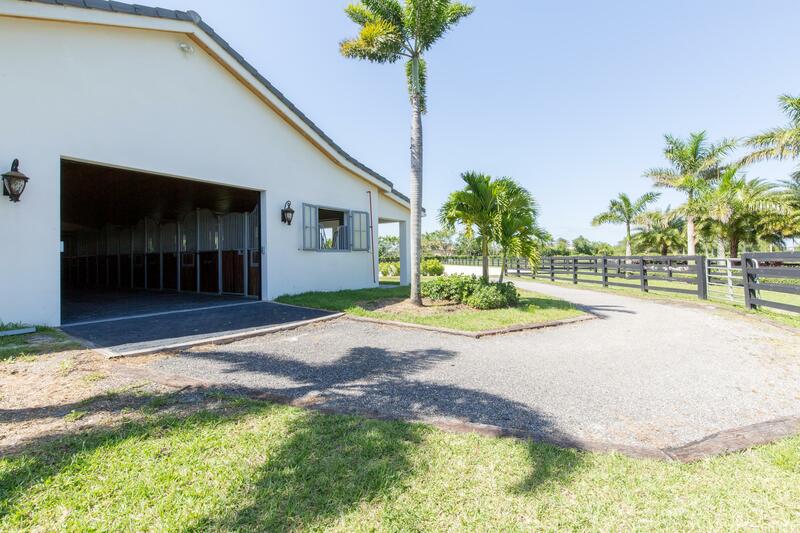 A stunning owners’ lounge is equipped with a full kitchen, a family room for gathering and a private bath overlooking the ring. 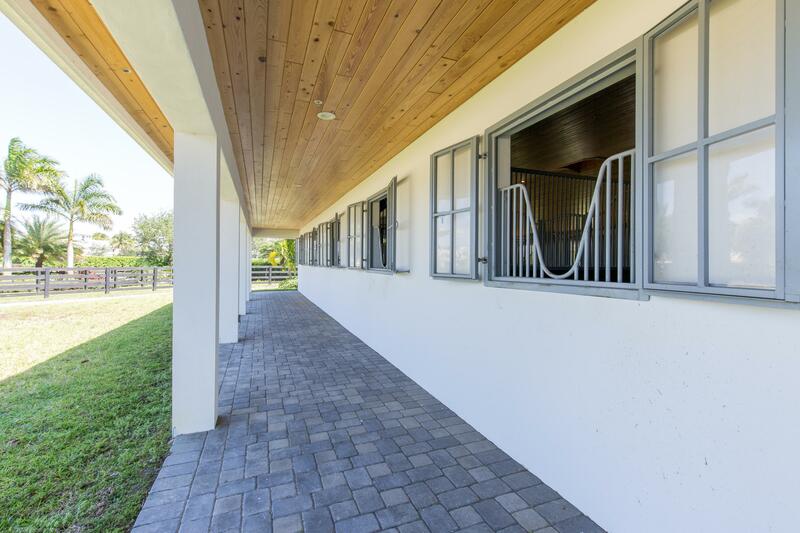 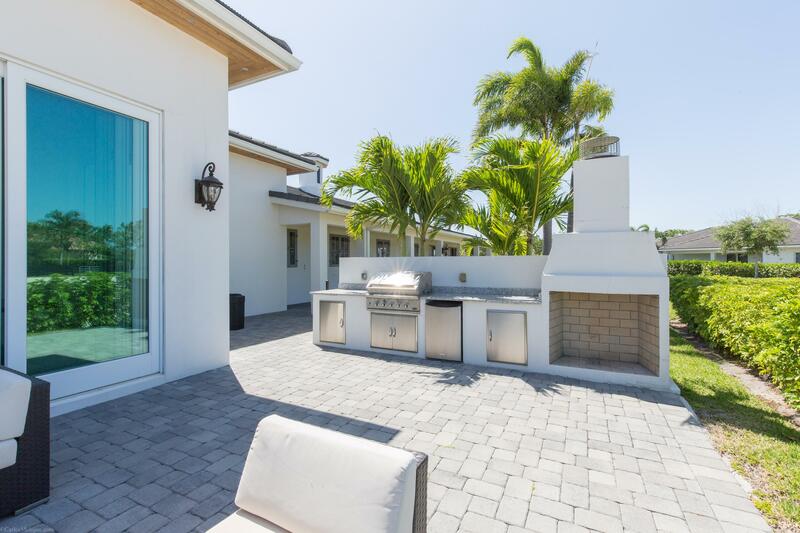 The outdoor lounge area boasts a custom fireplace and kitchen, ideal for entertaining riders and guests.